Shift your gaze from your device to the window for a just a second and look out. Do you see that? Winter has surrendered its shadows to the sunlight that now, at long last, falls across the street (and your pale knees). You made it. Spring is here, clearing a path for new life, new growth and, my favorite, new kinds of books. That’s right, somewhere between the weighty winter novels and buzzed about summer page-turners are the spring reads, the pages that prepare us for the blitz of summer energy without wielding too heavy a hand. Like a sprawling stretch after a long nap, spring books help us transition and transform under bluer skies. Below are six titles sure to engage your mind, stir in you hope, propel you toward change and deliver you to summer more fully awake to your one, bright life. Now that your home is tidy thanks to a winter spent with Marie Kondo, you’re likely ready to address the digital clutter that’s elbowed its way into your schedule, soul, and social life without so much as an invitation. Enter Cal Newport. Rather than continue to allow technology and social media to steamroll how you spend your life, lean into Cal’s practical guidance for using it to support your goals and values. To put it another way, Digital Minimalism is the “define the relationship” talk you’ve been meaning to have with your personal technology. It’s at once challenging and relieving, unnerving and exhilarating—perhaps the nudge you need to finally re-rediscover the pleasures the off-screen world. If Digital Minimalism is the how, Here, Now is the why. Kate’s call to presence in all of life’s seasons—be they bright with hope, dark with sorrow or clouded by the mundane—will make you weep and giggle (sometimes on the same page), reflect and repent, cut away and re-connect. Most of all, her hard-won insight will compel you to look up and around at what you have and see that it is good. Spring is magical, and so is this book (though not in an over-the-top fantasy kind of way). Harry’s Trees is, like flowers pushing up from the dirt, a picture of transformation. It’s a story about loss and grief that turns into a tale of friendship, whimsy, and adventuring through tragedy to redemption. At its center are a tree house, some gold, a book, and a wise old librarian who knows the power reading has to assuage the heart. I promise it’ll treat you well. I read more young adult books in the spring than any other time of year, in part because I start vetting books to hand my teenagers in the summer, but also because YA books are easy for my overloaded brain to get through when my busy spring schedule is not. Though its cover screams autumn, this 2017 release is worth picking up now. Second chances pair well with spring, and this book is rife with them. A raw, honest portrayal of relationships and belonging, Far From the Tree follows three teenagers—who all share a biological mother but who grew up in different homes—as they discover each other and find themselves along the way. 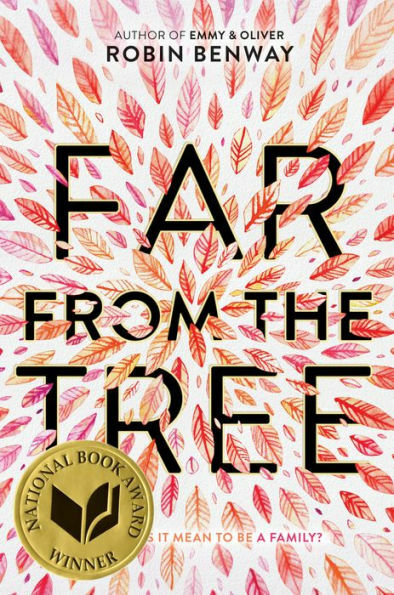 This National Book Award winner is a treasure, especially for families (like mine) transformed by adoption (or anyone already suffering from This Is Us withdrawals). If it’s transformation, peace, or clarity you’re after in this season of transition, this book will get you there by reminding you of the one who gives it. As she does so insightfully each week on The Next Right Thing Podcast, Emily guides you through a simple, soulful practice to cut through the decision-making chaos, quiet the fear of choosing wrong, and find the courage to decide without regret or second-guessing your next right thing. Whether decisions loom large or small in your life this spring, Emily’s here to remind you to take a deep breath and know that, no matter what you decide, Jesus won’t let you miss your future.